About this Book... SOON TO BE A MAJOR MOTION PICTURE STARRING JULIA ROBERTS, OWEN WILSON, AND JACOB TREMBLAY Over 6 million people have read the #1 New York Times bestseller WONDER and have fallen in love with Auggie Pullman, an ordinary boy with an extraordinary face. 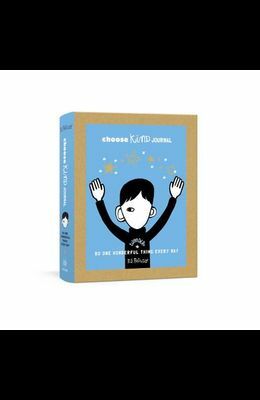 The journal that exemplifies the Choose Kind movement. With more than 6 million copies sold worldwide and over five years as a New York Times bestseller, Wonder has inspired countless readers to reflect on their actions and to Choose Kind. This journal prompts writers to reflect on ways they can actively be kind every day to the people in their lives and to themselves. Filled with quotes from the book and questions that are both fun and insightful, this journal is the perfect gift for a Wonder fan and a great activity for parents to do with their kids.